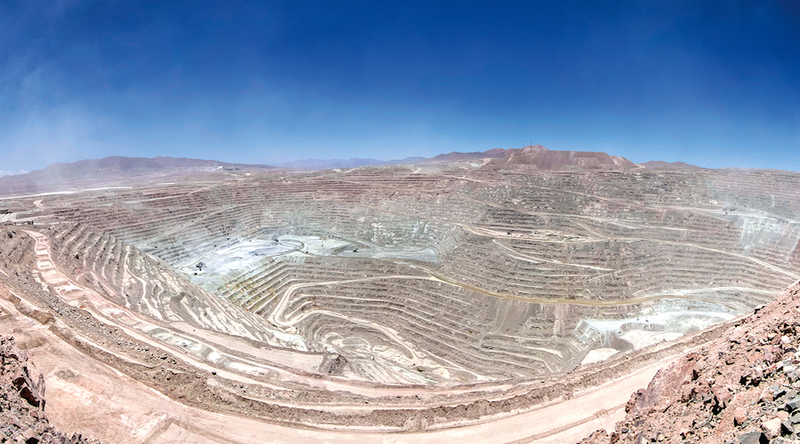 There is a heavy reliance on BHP's Escondida recovery this year to drive Chilean and global copper growth, but over the coming years the lack of megaprojects ramping up is significant to the overall balance. In a report published this week, Hamilton says that more than a evident lack of new copper projects, the perennial struggle of existing assets, particularly in large operations, are the main hurdle to overall copper supply growth. An example of this is what happened in the first 10 months of last year, when copper production trailed consumption by 175,000 tonnes, data from the International Copper Study Group shows. The deficit widened from 143,000 tonnes in the same period a year earlier, after a labour strike at BHP’s Escondida mine in Chile, the world’s largest copper operation, and a temporary ban on concentrate shipments from Freeport-McMoRan’s Grasberg affected supply in the early part of 2017, the group says. According to the BMO expert, the world's top copper operations in 2007 presently produce 10% to 15% less than they did eleven years ago, and he expects that trend to continue. Additionally, he says the current copper pipeline is the lowest seen this century, both in terms of number and capacity of projects. “After delivery of Cobre Panama (with the main ramp early next year) we are left with a gap until we see the next batch of 200ktpa-plus projects in 2022-23. This is when the likes of Kamoa, Oyu Tolgoi Phase 2, and QB2 are likely to offer meaningful supply growth,” Hamilton writes. Taken from: BMO Global Commodities Research, April 5, 2018. There may be more supply troubles brewing. More than 30 labour contracts are up for negotiations this year in world’s largest producers Chile and Peru, putting almost one-fifth of global copper supply at risk of disruption during 2018. What’s worse, BMO Global Commodities warns that the lack of megaprojects ramping up over the coming years will affect overall balance. However, sustained periods of growing supply-demand imbalance simply don’t happen in commodity markets, he says. Rather, they self-solve, with price as the regulator. “Thus, we see the path of least resistance as substitution in cabling for lower-value Chinese housing development, particularly under the rural reform push,” Hamilton concludes. * The main representatives of the copper industry gather next week in Santiago, Chile, for the 17th World Copper Conference. MINING.com will be covering the event on the ground, and also presenting at the International Mining Exploration Forum.